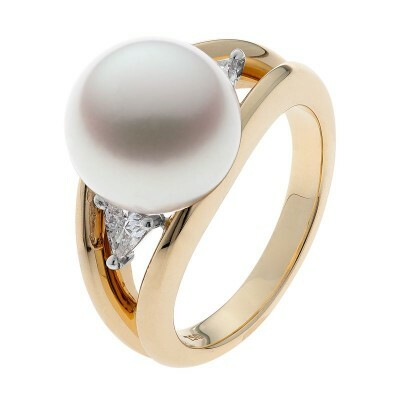 Get the best of both worlds with this stunning two tone ring. 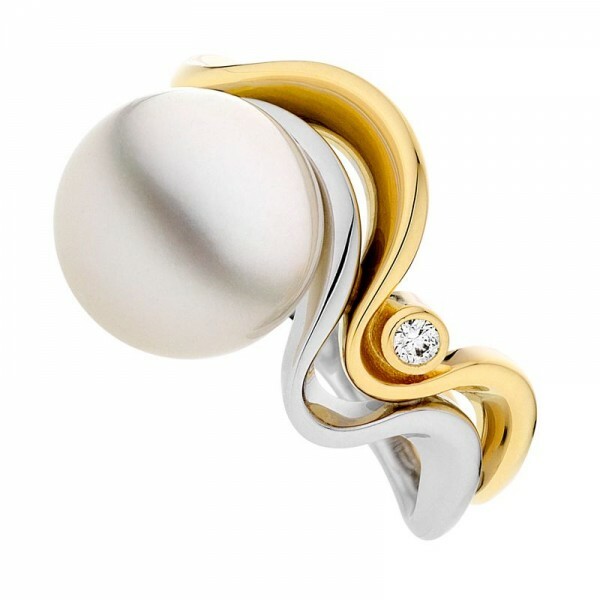 Two gently waving bands of yellow and white gold caress their way across the finger gently connecting in only a few places. 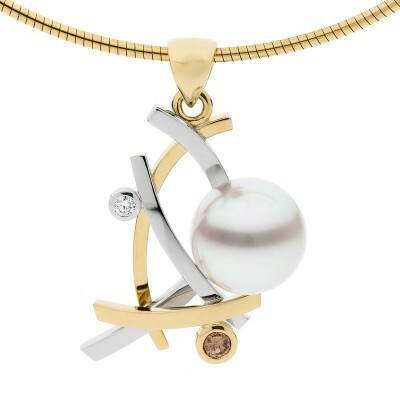 Finished with a brilliant white diamond and perfectly round South Sea pearl. Stunning!